Do you know a student who has difficulty breathing at times? There is free help available! The BreathMobile is an “asthma clinic on wheels” with doctors, nurses and staff who specialize in asthma. It will visit various Berkeley Unified School District sites during the next four months offering asthma evaluations, treatment and education at no charge. A parent/guardian who is concerned that a child may be suffering from asthma symptoms can call 510-763-1880 to schedule an appointment. Any BUSD staff member who believes a student could benefit from an evaluation for asthma may make an appointment for the child, with permission from the parent/guardian. In either case, the parent/guardian must be present at the appointment. Children age 3 months to 18 years are eligible and may be seen at any school site, not just the site where the student is enrolled. The school site visits are focused on BUSD students and siblings, though any child is eligible to make a BreathMobile appointment. 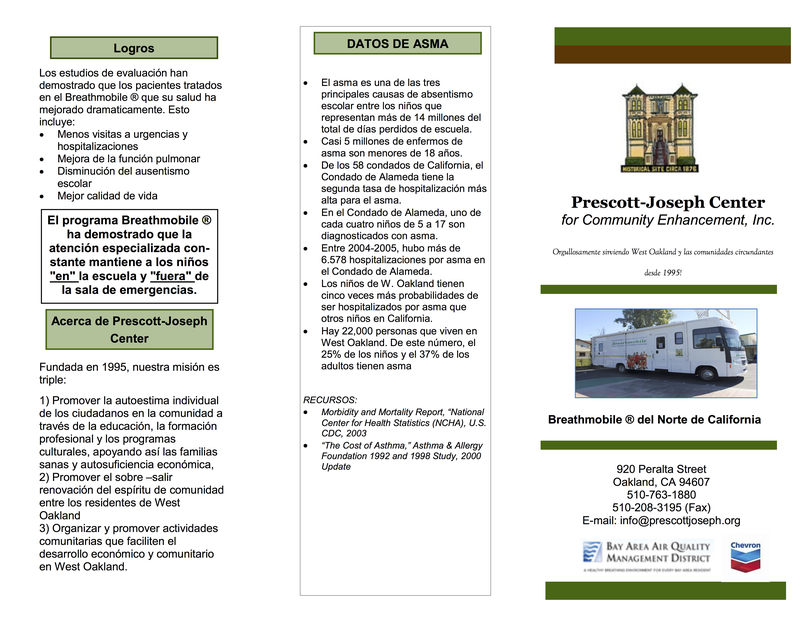 The BreathMobile will be at these BUSD schools on the following dates, during school hours generally from 9 a.m to 3 p.m. You must make an appointment – no drop-ins. Children ages 3 months – 18 years of age can utilize this service. Students do not need to attend the school site where the appointment is scheduled in order to be seen. Students can visit any school site for an appointment. BUSD alumni and siblings can also schedule appointments. A parent/guardian must be present at the appointment. Appointments for new families to the Breathmobile are 45 minutes – 1 hour long. Appointments for returning families are 30 minutes. Appointments will be during school hours on the school site (roughly 9am-3pm). All services are provided to families at no charge! 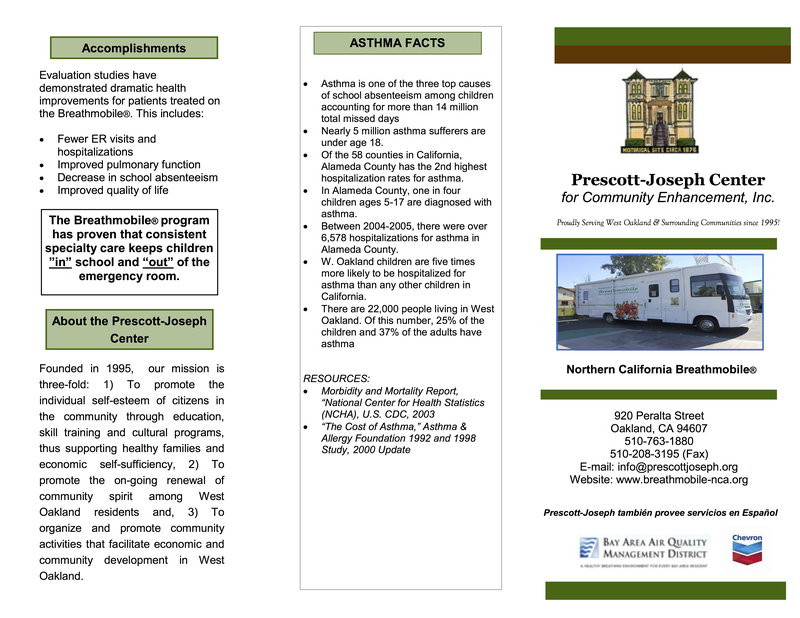 The BreathMobile provides full service asthma evaluation, treatment and education FREE OF CHARGE. Every patient leaves with an asthma action plan that is shared with the school and the parent/guardian, and medication, or means to obtain medication. The Breathmobile program of evaluation also includes calculation of body mass index (after a height and weight of the patient is done). A question is asked if there is any history of familial diabetes which is recorded. Because Alameda County has an obesity epidemic, (over 45% of the students seen by the Breathmobile are overweight), they also work to get patients and their families into nutrition, cooking classes and exercise programs. Patients can also be referred to the Healthy Homes Project where an outreach worker goes out and inspects home(s) for asthma triggers and toxic products. Breathmobile también ofrece servicios en español.